On March 24, the annual conference of the American Israel Public Affairs Committee (AIPAC) began in Washington, D.C. AIPAC is dedicated to lobbying U.S. politicians to maintain and increase support for the state of Israel and its ongoing genocide against the Palestinian people. Because the occupation of Palestine by the Zionist state of Israel is of incredible strategic importance to U.S. imperialism, the biggest names in capitalist politics attend every year. Among those in attendance were Vice President Mike Pence, Senate Majority Leader Mitch McConnell, Speaker of the House Nancy Pelosi, Senate Minority Leader Chuck Schumer and “Special Envoy to Venezuela” Elliott Abrams. This “bipartisan” group of politicians are all united in their support of the racist state of Israel. This year, the conference acquired special importance due to the attacks on Minnesota Congressperson Ilhan Omar. 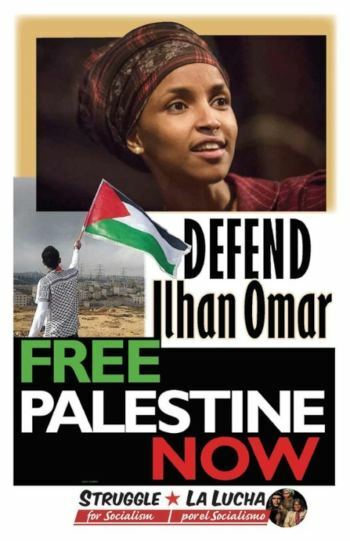 Earlier this year, Omar expressed legitimate criticisms of AIPAC and the influence of its monetary donations on U.S. government decision-making. While nearly the entirety of the political establishment incorrectly condemned her comments as anti-Semitic, her message was supported by the Palestinian community and progressive people everywhere. Every year, the AIPAC conference draws not only racist Zionist supporters, but resistance as well. Al-Awda, the Palestine Right to Return Coalition, hosts a yearly protest against the conference. 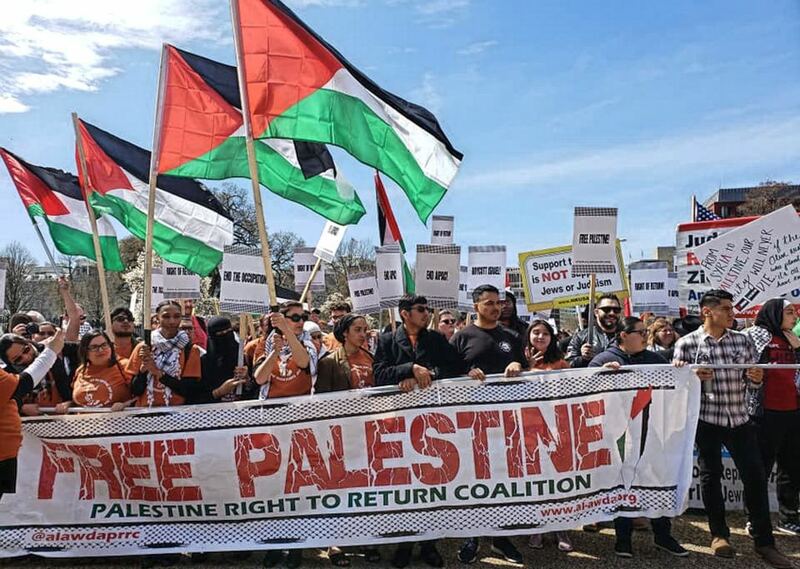 This year approximately 200 people gathered in front of the White House, where speakers denounced the occupation of Palestine and called on the U.S. to end its support of the Israeli apartheid state. Protesters then marched to the Washington Convention Center, the location of the conference. This march set out with one clear goal: to defy the Zionist lobby and its ruling-class backers. Outside the convention center, protesters rallied in support of self-determination for the Palestinian people. Many protesters confronted conference attendees, challenging their support of the Israeli state.